Dutchess County Executive Marcus Molinaro announced three of four electric car charging stations are now operational and available for public use. Dual-port Level 2 charging stations have been installed at the Dutchess County Office Building in the City of Poughkeepsie, the Beacon Government Center in the City of Beacon, and the Village Hall in Tivoli. 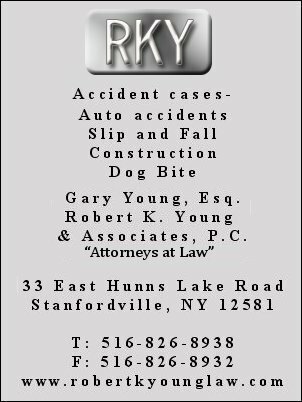 A fourth charging station is slated to be operational in the Village of Pawling later this summer. The stations are strategically located throughout Dutchess County for public use and to recharge County vehicles. The County has contracted with EV Connect to serve as the payment vendor for the charging stations. The stations are just $1.25 per charging hour to use through the EV Connect app. 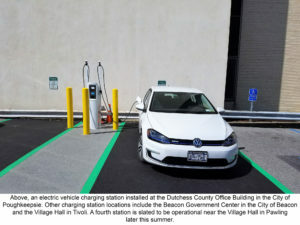 Dutchess County will receive 80 percent of the revenue from EV Connect. The charging stations were part of a purchase last year that included four Nissan Leaf Model S electric vehicles, with grant support from the New York State Energy Research and Development Authority (NYSERDA). Each station has an extended warrantee and a four-year network connection and management contract. The County continues to promote clean, renewable energy usage. “Green” or “sustainable” vehicles currently represent 25 percent of the County’s vehicle fleet and, over the next 6-9 months, the County will replace 10 of its gas-fueled vehicles with hybrid electric vehicles. Electric vehicles can travel up to 100 miles on a full charge and cost 50-70 percent less to operate per mile than a gas-fueled vehicle, making the vehicles and charging stations ideal for use by County employees in various departments.